Winter will soon be upon us, and the days have already started to turn to nights a lot earlier than before. And with the dark that the following months bring come a different set of dangers we faced in our (non-existant) Summer. There's a greater threat you you and your home, but Westwood Electrical have a solution to combat this. will record straight to the SD card supplied for complete peace of mind. It's a modern alternative to the security lights that have been so popular in the past. But they were, essentially, just a bright light that is about as scary as a rubber duck (apologies if anyone has that particular phobia). And, in certain circumstances, a bright light was exactly what the criminal needed to finish the job. The GuardCam will shine a light on them, and film them in the act, hopefully providing concrete evidence to the authorities. Plus, you can add a voice to it, allowing a presence to be there, even if you're not. The following video shows it in action, and demonstrates it's potential possibly far better than any words can do. Click here to view. So, if you'd like more information on this product, or a friendly and reliable electrician, get in contact with Westwood Electrical. 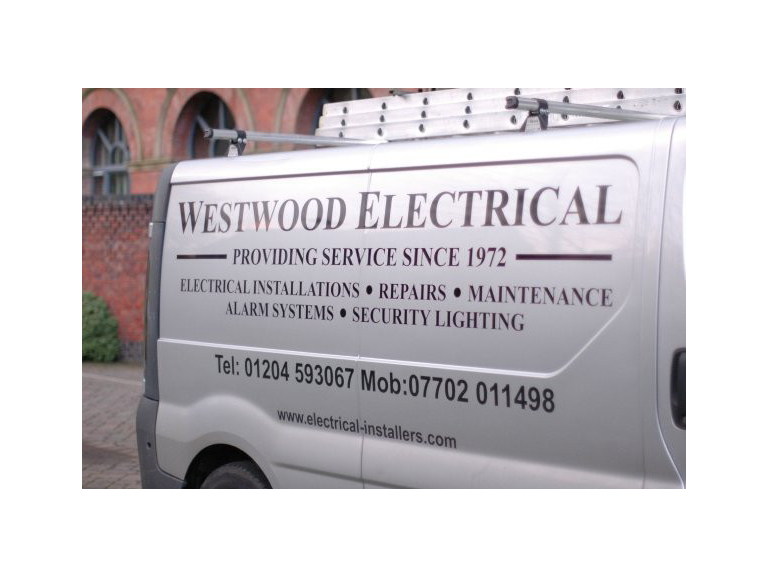 Westwood Electrical have been established in Bolton for over 37 years and offer a fantastic electrician service to local people. Give them a call on (01204) 689937, or visit their feature page here.